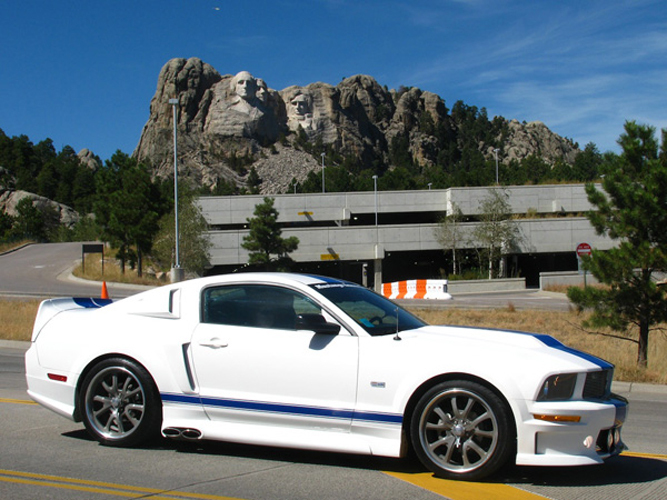 The inspiration for the build came from the "Gone in 60 Seconds" 1967 Shelby GT-500 Eleanor Mustang. We truly mean "inspiration" too. Not trying to make an exact duplicate, that would be impossible. The original has its own personality that can never be copied. Instead, this is a modern representation of her....Elenora-her daughter. 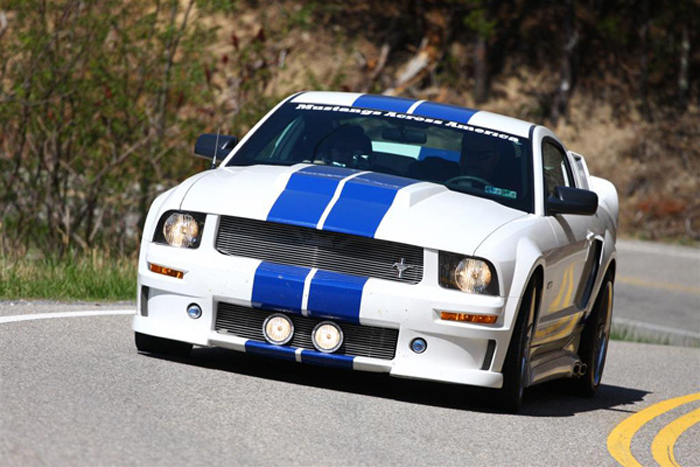 Our 2007 Tribute Mustang Shelby Elenora is instantly recognizable – thanks to several eye-catching styling enhancements that are so much a part of the Shelby Mustang heritage. 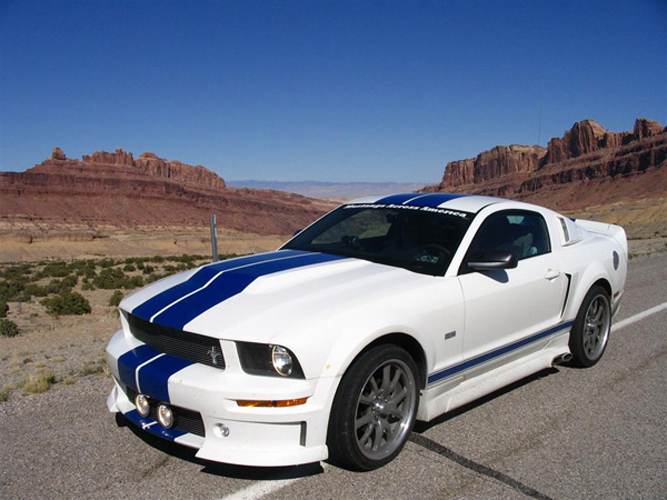 First and foremost, she wears Performance_White exterior paint set off with LeMans stripes which are a hallmark of Mustang’s history dating all the way back to the 1960s. 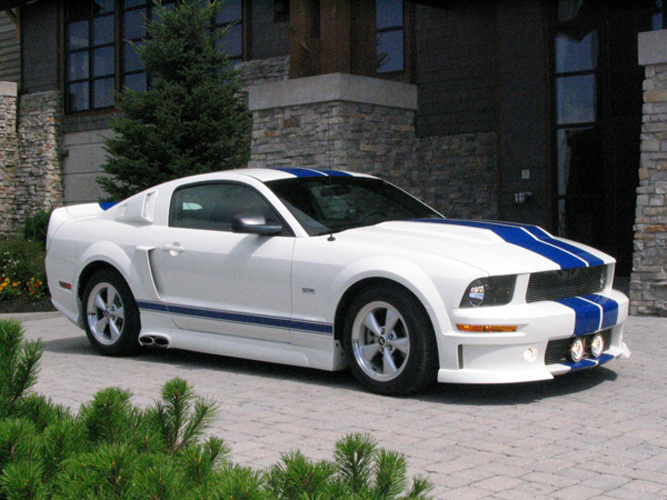 Shelby’s traditional Pete Brock design “Le Mans” dual, overbody racing stripes are combined with a set of matching rocker stripes. Elenora also wears a Powered by Ford emblem on the front fenders, and features Shelby sill plates and a dash badge from Shelby America inside the cockpit. To give a hint of the Mustang engine’s added performance_capability, Elenora is fitted with a custom High-Performance hood, and a brushed aluminum grille with running horse emblem. A unique front fascia with integrated lower grille and rally lights as well as PIAA running lights. 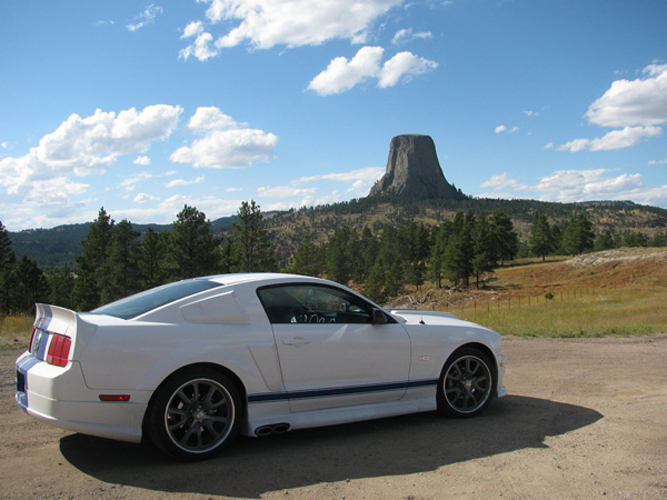 Quarter window scoops as well as a set of body side scoops – reminiscent of classic Shelby Mustangs is incorporated for a distinct look. To further catch the enthusiast’s eye, Elenora rides on custom powder coated (satin gray) 20" rims. (20x8.5 front 20x10 rear) plus polished knock offs. Nitto extreme ZR tires (255/35/20 front and 275/35/20 rear). Modifications include the AirStrut ShockWave performance air suspension from Air Ride Technologies, TCI's "Street Fighter" ratchet shifter, Steeda shock tower brace, Western Motor Sports Racing 80mm Ram Air-Cold Air kit, a stainless steel X-pipe Borla Stainless Steel 2.5" mandrel-bent side exhaust system featuring stainless steel-mufflers and polished cast-aluminum tips. 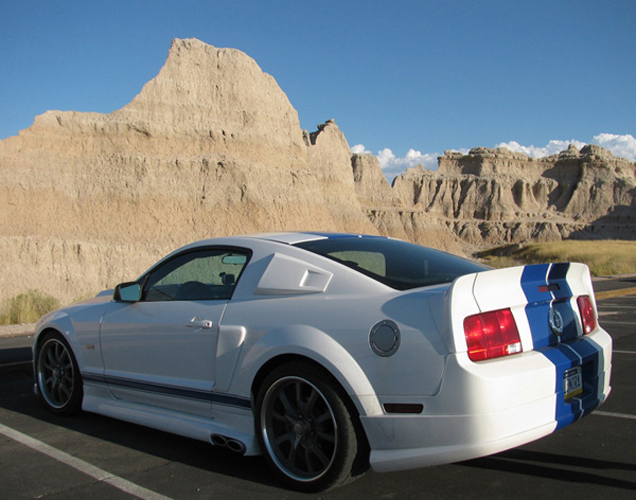 The side skirts, high-performance calibration and the cat-back hi-performance exhaust generates that throaty sound that makes this car a fitting tribute to the movie star Shelby Mustang. Tell us what you think about the new website by email or post on our facebook page!